In this page , you will learn about how advanced conditionals are used. By advanced conditional we mean using conditional sentences in ways that express varying degrees of likelihood , politeness or willingness. 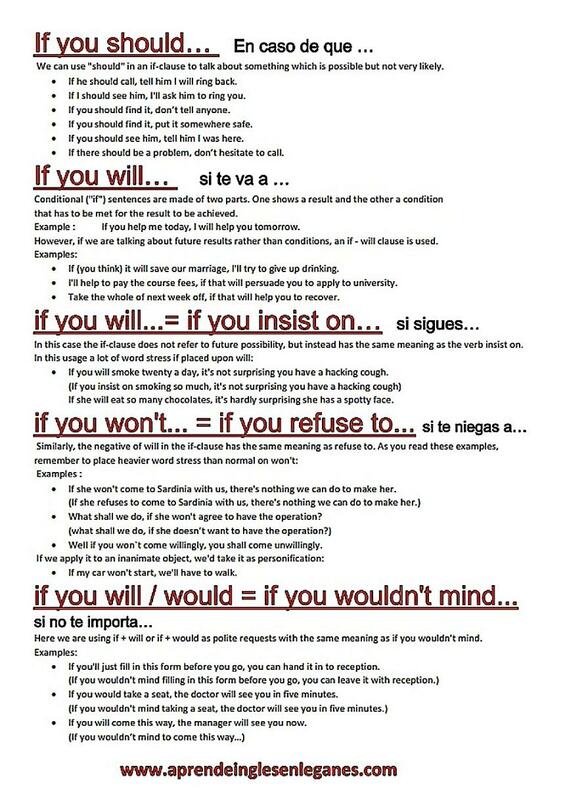 You can download this grammar sheet here.